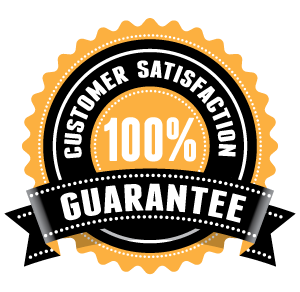 We’re so sure that you will love our products at SneaksLimited.com that we offer a 100% satisfaction guarantee. If you have a problem with your order, simple click here to contact us immediately, and we’ll do SneaksLimited GUARANTEE BEST to make things right for you. All orders are shipped within 24 hours. Full tracking details are provided via email to track your order delivery date and shipment status after 1-3 working days. SHIPPING TIME: 15-21 DAYS WORLDWIDE. At SneakLimited we offer all our customer an exclusive FREE WORLDWIDE DELIVERY within 15-21 Days. All orders are normally shipped out within 24-48 hours of purchase and fulfilled on Business Days Only. Exceptions do occur especially during sales or promotions. During sales or promotions processing may take 5-7 business days. Shipping costs are free for domestic US customers and International customers. We provide excellent, reliable shipping services within the United States and the rest of the world. All shipping services include tracking information. After your order has been successfully placed, you will receive a confirmation email. Once it has been shipped, you will receive a second email containing your tracking information. Shipping confirmation emails may occasionally be sent without tracking numbers. If this is to occur, you will receive a second confirmation email when the warehouse has attached tracking to your order. Please allow up to 72 hours for your tracking information to be updated. These shoes are the most comfortable shoes I’ve ever worn. The material used is high quality. shipping was on time! Absolutely lovely shoes, quality and price are best! I cannot understand those people who hate Jordan 1 retro high white It’s very nice quality shoe with reasonable price! If you’re looking for a fire sneaker with a reasonable price then I highly recommend Sneakslimited. They are very professional when it comes to UA SNEAKERS and bro I bought the AIR JORDAN 1 RETRO HIGH WHITE from them recently and I was surprised af when I received it. I didn’t find any flaw man, everything was perfect! Quality, detail, smell, stitching, the sole….ETC JUST Excellent!